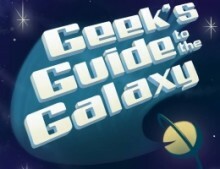 This interview first appeared on Wired.com’s The Geek’s Guide to the Galaxy podcast, which is produced by John Joseph Adams and hosted by David Barr Kirtley. Visit geeksguideshow.com to listen to the entire interview and the rest of the show, in which the host and guests discuss various geeky topics. Your Ultima games are absolutely my all-time favorite video games, and they really had a big effect on me as a kid. In college, I actually studied mostly law and ethics, and I really trace my interest in those subjects back to my years spent playing Ultima. I imagine that you must hear a lot of stories like that. Do any stories stand out in your mind about your games having that sort of big influence on people? Actually, it does, and there are a couple of stories, one in particular that I love the occasion to be able to retell, which was shortly after Ultima Four. If you’re an Ultima fan, you must remember that Ultima Four was the first time that—especially in the Ultima series, but frankly, I think in any role-playing games on the computer—they went from just being a slog of fighting monsters and collecting treasure to being a game that both espoused virtuous behavior, and also judged you as you played the game as to whether you were playing in a virtuous manner. And the only way to really win the game was to behave in a reasonably virtuous way according to the rules of the game. When I was building that game, my team and my family were fairly skeptical; they thought that trying to make a preachy type of game, as they would say, might actually hurt its possibility of success. But when that game came out, it was actually my first number one best-selling Ultima, and I think really put the series on the map. I received a letter shortly thereafter from a mother of a young girl who she had bought Ultima Four for. She had never played Ultima, but she knew that it was popular based on its sales and marketing, and her kid had heard of Ultima before, but since she was trying to be a good parent, and kind of observe and participate in whatever her young child was playing on the computer, she sat with her young daughter while she played Ultima Four. She was so touched by how this touched her daughter that she wrote me a letter that basically said, “Hey, Mr. Garriott, I felt compelled to reach out to you because I have to tell you that my daughter has had a problem with lying and stealing and other things as might be normal for a parent to face with some children, and I have to say, when she played your game, she of course immediately fell into the same habits of lying and cheating to the characters in the game, but then I noticed how your game brought those behaviors full circle, and my daughter was forced to face the ramifications of that behavior, and she learned to reevaluate her own behavior, not only in the game but in the real world.” So she was extremely thankful and happy that she had bought Ultima Four for her child, because she felt that it really did have that sincere positive impact in her child’s life. Just reading comments from people online, I came across a lot of people who said that as kids they almost adopted the Eight Virtues as their religions. How do you feel about that? How do you feel that the Eight Virtues hold up after all these decades as a system that people should try to follow? What’s interesting is of course the Eight Virtues are sort of, by definition, fiction. I wrote them not on a quest for the truth of the universe, but rather to fulfill a need. What’s interesting about that, though, is that when I decided I wanted to write a game about virtue, I went through a process, and the process started with me sitting down with what classical philosophy existed that I might pattern after. You do things like say, “Okay, well, should I use, for example, the Ten Commandments? Are the Ten Commandments what my game should espouse as the universal truth of the way to behave?” At least for me, I looked at that and said, well, that one’s not only a bit dated, but in my mind it was somewhat incomplete, and somewhat duplicative, at least from a gaming standpoint. I couldn’t figure out a way to make it work. Then I said, “Okay, well, how about the seven deadly sins? Am I working against the seven deadly sins?” And while a lot of good horror movies use that as their basis, when I was trying to write a game about virtue, again these came up shy of what I felt would work. So then I said, “Okay, I really have to invent a virtue system from scratch. I really need to find out, what are the fundamental virtues of life?” I sat down and began a very extensive research project. I bought all kinds of philosophy books. I read through many, and I began to see patterns in it. I began to tape Post-It notes on a white board and organize things that motivated people to good and bad behavior up on a wall and then began to put things near each other that kind of were different ways to say the same thing, or included elements of each other, to try to find a universal set. That’s when I originally came out with the Three Principals: truth, love, and courage. I noticed that almost anything else I had up on that board, I could say was due to the presence or lack of one of those three cardinal virtues. But three didn’t seem like enough, so what I did is I used all the possible permutations of those three to come up with eight, and then I found the best word that I could that matched up with those eight. So even though what I’ve just described to you is a fictional process, I believe strongly in the research that I did in order to come up with that. The longer I’ve sat with it down through these decades, the more I’ve noticed that other people writing issues about virtue or doing analysis of virtuous behavior in a modern way are often coming to a similar conclusion, if not the same conclusion. There was a site I found the other day called “What I needed to learn about life I learned in a video game,” and it’s all about the Eight Virtues of Ultima. They’re talking in depth about why they have concluded after not only playing it, but then growing up to adulthood and reflecting on it, that in fact those virtues really are a pretty sound foundation. Which I’ve grown to believe as well. So when you were studying all the philosophy, were there any particular philosophies or philosophers that you particularly admired? Do you have a favorite approach in terms of deontology or consequentialism or virtue ethics or any of those sorts of things? There were kind of two parts, two different aspects that I think I leaned on the most. Interestingly, Buddhist philosophy is absolutely my favorite, and while you won’t see the pattern in my virtues that comes from the Buddhist approach, what I liked about the Buddhist approach was it’s not doctrine as much as it is organized rational thinking to determine a philosophy that’s mutable. The more I read about the way in which Buddhist philosophy is derived, you might say, the more I began to lean on that as a process. Then as I started coming up with my specific three and then eight virtues, I then began to look for writings on those subjects. Interestingly, there’s a writer, a poet named Khalil Gibran, who writes lots of little short stories and quotes about virtues and vices and life and love, etc., and I found his work to be the way I managed to pull thought bubbles, you might say, or angles or ways to look in a very short, succinct way at a virtue. I found his writings to be particularly useful, although I drew from many, many other sources as well. You mentioned how Ultima Four had such a positive impact on this little girl whose mother wrote in. Do you think games like Ultima, with that sort of ethics simulator, are something that should be assigned reading in school, the kind of thing that should just be the part of every child’s upbringing? It’s interesting that you mention that. I’ve never heard anybody propose that before, but I like that a lot. I was talking with my wife, who is French, and one of the things about French school is they do that a great deal in school, more even than in America, where they’ll assign the class effectively an ethical parable story, and then sit down and analyze the how’s, and what’s, and why’s of that ethical parable. One of the things that I’ve grown to learn is that role-playing games are foundationally extremely powerful teaching tools. Frankly, whether you like it or not, it’s a good teaching tool, and that has at least made me very acutely aware of and pay attention to the nature of that teaching, the nature of the content that I put forth in my games—once I began to learn that people were reading so deeply into what I was putting in the page. You have a child now, right? Are you going to force your child to play through all the Ultima games? [Laughter] If she doesn’t play through them all, then she’ll have to join me in making them. What’s interesting is, I’ve been contacted a lot now that we’ve been developing Shroud of the Avatar. People have gone back—and whether they’re doing this only now because they’ve been inspired, because I’m going back to my roots myself, or whether they’re just telling me about it now, I don’t really know—but people are now circling back and playing those earlier games, and then writing to me about it. They’re saying, “Look, I’ve decided I’m going to play through Ultimas One through Nine, and they’re blogging, and tweeting, and sending me direct questions and comments about that experience. So as a community we’re sort of all reliving that whole cycle again. It at least reminded me how strong the story and the impact of those stories, Ultimas Four, Five, Six, and Seven in particular, was. Ultima Four: I can’t think of another game in which ethical self-improvement and achieving enlightenment is the whole point of the game. Are there other ones that you know of? And why do you think that there aren’t more? I agree with you, I think it’s the only one. And that was of course the thing that was debated so hotly at my company, as to whether that was what spelled doom for the product, since there was no real winning in a classical way of defeating a bad guy. Why there’s not that in particular I think is hard to say, but why there’s not very many deeper stories at all, I think is easier. I also think that most games, including role-playing games, don’t have that much story in them. A great case study to show how true that is that, when you look at movies made from computer games, a computer game is really about an environment and combat as much as anything else, and so pretty much any movie that’s made out of a game has not only been bad, but has had very little to do with the game—because there’s no content in the game that’s worth retelling in a movie, generally speaking. I think the reason why that has remained so true for these decades is that the platform that we’re building on top of continues to evolve so quickly that just to make a first-person shooter that takes advantage of the astounding new capabilities of the hardware is work enough. It’s only during fairly stable points in the technology that people go, “Well, to compete with that fairly simple gameplay, I need to make something deeper,” and so games get deeper and deeper while a platform is relatively stable, but then as soon as there’s a new, radical improvement in the platform, games reset to fairly simple gameplay that really shows off all the great new bells and whistles of the technology. I’m hopeful that now that we’ve sort of reached the era where we’re not having to reinvent the camera, we’re not having to reinvent the render pipeline, and the art importation tools, and the A.I. systems, and the user interface systems . . . it used to be for every single game we’d reinvent all those things from scratch, and we’re finally to the point where we don’t have to reinvent all the pieces from scratch, and that is allowing developers to finally focus on making games deeper—which I think is really going to help the stories. The Ultima series creates this virtual environment in which virtue is rewarded, in which being virtuous is the way to win the game, but I think a lot of people would argue that the real world doesn’t operate that way when we have sayings like “Nice guys finish last” and “No good deed goes unpunished.” What do you think about that tension between wanting to create a virtual world where virtue is rewarded and acknowledging that the real world often doesn’t work that way? I think that, first of all, most good books, and most good movies, and I would therefore argue most good computer games—not all, but most—are aspirational fantasies, not the harsh truth of reality. I reflect regularly on some of the business partners that we’ve dealt with through the years, who I think of as fairly unscrupulous, that have succeeded despite their, at the very least, being mean-spirited, and the most, kind of purposely pushing the edges of legality in order to compete and win. When I talk with a lot of those people very straight up about this sort of thing, people are like, “Hey, this is business. It’s a competition, and if the way for us to get ahead is to harm you, then that’s what we need to do, is harm you.” I look at that and I go, “Boy, that just feels to me unethical.” So people’s concern that the real world does have some of that in it—I think the real world does have some of that in it. On the other hand, I tend to be an optimist. I tend to think that while being the bad guy can lead you off into more immediate success, I think the strongest companies, the strongest individuals, the strongest products, are those that adhere to the more virtuous path. You think about any big hundred-year-long-lasting company: It has probably had an era of up and down, and even of moral or virtue drift, during different eras of their history, and while more mean-spirited if not bad-guy leadership may have given them a temporary surge, I do have a personal belief that, fundamentally, human beings need to work in supportive communities in order to succeed. Good guys can finish first, but not necessarily every time. Back in episode eighty-four we were talking about what our ultimate video game would be, and I don’t know if you’ve read Game of Thrones or watched the TV show, but I was saying a video game I would really like to see would be something like you’re Ned Stark and you show up in King’s Landing, and you’re sort of thrown into this court intrigue, and you don’t know who to trust. I think one thing that’s really interesting about Game of Thrones is that Ned Stark tries to be as virtuous as possible and that creates a total catastrophe. I just wonder, do you think you would ever create a game or an ethical simulation like that where doing the virtuous thing . . . Absolutely. In fact, I’ve sort of tried to already traipse around that a bit, and let me describe how that at least worked in my world. Ultima Four was, as we’ve discussed, the game about being virtuous, and there was no bad guy. You were going to succeed or fail purely based on what an example you created, how good an example you created for the people. That’s your job: to be the first knight, be the one worthy of admiration of everyone, to show what it’s like to be truthful, and loving, and courageous. But in Ultima Four, the game is also fairly black and white, and as soon as you know that that’s the case, you just quit doing evil things, and eventually it’ll work out for you. But when I finished that, even I said, “Okay, that’s really not the way the world really is.” In the real world, there’s lots of people who claim to be good but I would argue are not. I will pick on one broad category—I may not be picking on all these people fairly—but I would argue that, in many cases, television evangelists are people whose job it is to appear to be the most positive, well-meaning people that exist. And yet many, many, many of them have been taken down for doing things like using earpieces and communication pieces to have revelations about members of their audiences, to use shills in their audiences to have magical spiritual healing, etc. I think most anybody who would look at that would go, “Okay, those people are actually evil.” In my mind, the real world is filled with that. The real world is filled with people who claim to be good, and look good, and may even have some aspects of what they’re doing that are good, but are really deep down rooted in something more sinister. On the other hand, there are people who are just angry, or hungry, or spiteful, for whatever reason, that in the end really could be relied on to make the right choice if something really important came up. So with Ultima Five, I tried to bring that gray area of reality out. Whereas in Ultima Four, anybody who says, “I’m here to help you” probably was really there to help you, in Ultima Five that was not the case. Then with Ultima Six, I began to reach into things like racism, and what I did with Ultima Six was I brought in a race of beings that look very demonic: They have horns, they have leathery wings, they have long claws. In fact, you enter the game at a battle where they are actually trying to kill you. Well, that’s pretty good evidence to say, “Those guys are bad guys.” They look like bad guys. They’re acting like bad guys. They must be bad guys. But then again, there’re all kinds of reasons to have a conflict that have nothing to do with whether someone is right or wrong. There have been conflicts where both sides honestly believe they’re right, and being the winner doesn’t necessarily mean that they were the one in the right. In this case, I set it up by creating these gargoyle-like evil creatures. I set you up to assume that they were evil, when in fact they have families and literature and science, and their grief with you is associated with things that the human society has been doing against them over time. In fact, the way to lose the game is to win the battle. The way to win the game is to force peace. I absolutely agree that the stories of Ultima’s Five, Six, and Seven involve a tremendous amount of moral complexity, and that’s one of the things I really love about them. But more or less the avatar is expected to act virtuously throughout the stories, and I think that changes a little bit in Ultima Eight. It does. And again, Eight had some problems, in the sense it was pushed out the door incomplete, in my mind, so I wish we had sat on that one for six more months than we were allowed, but you’re absolutely correct. What Ultima Eight’s story was: I sat down and said, “Well, what do you do if the rules of society around you don’t support these virtuous and ethical behaviors?” It’s perfectly fine to say “I always want to be truthful, and honest, and loving, and kind,” but if those [values] are not appreciated and repeated by those around you, what do you do about it? It was sort of my “when do you choose to fight fire with fire?” When is it okay to set aside your own moral or virtuous beliefs, your ethical beliefs, and live like the locals as a way of survival? And without trying to pass judgment on it, I at least tried to explore it by saying, there are times if you just decide to stand your ground, you’re just going to be killed and that’s the end. If you think that’s the right choice then, okay, it’s going to be a short game. I may have said literally that. I don’t remember that exact quote, but that’s not far from my thinking. In fact, another thing I did with this game—I do this in all of my games—I don’t know if you’re familiar with the Ultima pattern of having a room that often involves the death of children? Okay, well this started with Ultima Four, but things like it continue to this day, and this provocation of pushing you, the player, out of your comfort zone is something I know to do very purposefully. And Ultima Four, where it came about was that the last dungeon you had to fight your way through was intended to test you, once and for all, on all of your aspects of virtuous behavior. I made a room where there were cages in the corners, and a lever in the center of the room that, if you pull the lever—and the cages, by the way, were full of small children—and if you pulled the lever, the cages would be opened. But in fact they weren’t children in the sense of nice, pleasant little human children. These were monsters that looked like children, and so they would swarm around you and attack you, and I knew that the player would wonder what they should do because at this point they’re right at the end of the game, and they would be worried that if they killed the child, they might lose part of their virtue points—which would mean they would have to start over this whole dungeon. So, what do they do? To me, that was the beginning and end of it. I didn’t care what they did because, in fact, it wasn’t a test. It just looked like a test. But I knew that people would be trying to figure out what to do, and there were other things you could do. You could charm the children to make them run away. You could put them to sleep. If you dropped your sword and hit them with an open hand, they would be hurt and run away. You could not pull the lever. There were all kinds of things you could do, but I knew that this would cause this mental anguish on a player. It’s so hard to cause an emotional reaction of any kind in a game that I was very proud of myself when I built this little test. But when the game was being playtested just before its release, one of our QA testers played that room and then wrote a letter to my brother, who was my business partner, and said, “I refuse to work for a company that so clearly supports child abuse. I was just about to finish this game, and I actually had to beat up children in order to win the game. I’m pissed off. I demand that you remove this from the game or I quit.” And my brother came to me and said, “Richard, what have you put in the game?” And I’m going, “I don’t even know what he’s talking about.” We had to go look it up and go, “Oh, it’s this room.” And Robert said, “You have to take it out of the game.” And I said, “No, you don’t understand. The fact that I’ve provoked this level of emotional reaction is incredible, and in fact, this guy is wrong. You don’t have to kill the children. You can charm them, put them to sleep, don’t pull the lever, there’s plenty of other solutions.” But I was excited by the fact that I had made this level of provocation. My brother tried to get me to take it out, my parents tried to get me to take it out, but I left it in the game, and I do things like it now all the time. I wonder to what extent some of these things were intended to be provocative. I mean, like, the box for Ultima Three features this big demon monster, and it has the word Exodus, this word out of the Bible, and this is at the height of the satanic panic of the 1980s. Were you intending to be provocative with that or just kind of going . . . ? Leading up to that, I was constantly doing things . . . just like with the game about the gargoyles, which tried to show you that you personally can be racist if I set your bigotry up by hiding proper details and expressing certain details in a way that defeats your filter of trying not to be. And similarly I think about pentagrams. A pentagram is just a symbol, as far as I’m concerned, and the fact that some people find it uncomfortable, I would like to show them that by the way you can write a game about virtue. You can write a game that is going to help your children grow up to be happy, healthy, positive adults, and that will not harm them. So I like this, being this provocateur that takes people out of their comfort zone to try to shake them up, to be a more thinking, rational being. Have you gotten a lot of letters over the years from players who’ve converted to devil worship after playing your games? [Laughter] Not a one. That’s hilarious. No, in fact, it is interesting: that Ultima Three cover that you asked if I did that one on purpose? I did get a couple of letters about that, because they just saw the image on the cover and assumed it was something devil worship-y. To which, by the way, the inspiration for that cover came from Disney’s Fantasia. If you remember Disney’s Fantasia, it has a big demon standing on a rock in a fire pit, and Ultima Three’s cover is a big demon sitting on a rock in a fire pit. And so I thought it was hilarious that Walt Disney—which is kind of seen as one of the most wholesome, positive American icons around—I used the same image and I’m called a devil worshipper. I really think it goes to the hypocrisy of people with this attitude. And pretty universally, those people aren’t playing the games. They’re just seeing the image and making a variety of assumptions. It is interesting, though: I did another accidental provocation that went into Ultima Three. You may remember the magic books, and one of the things I started doing in the Ultimas early on that now other games do, is I tried to make the manuals as fictional as possible. Instead of saying, “Hey, to cast a certain spell you use this key on the keyboard, and here are the numbers and parameters associated with it,” I actually tried to write the manuals as if this was real. So if it’s a magic book, you don’t say it’s a computer game, you just write it as if, yeah, it’s a magic book. If you want to resurrect somebody, you bring together these ingredients, and you boil them in a pot, and you pour them down his throat, and chant these words, and ta-da, your friend will be back to life. I tried to write it as “realistically” as possible. Of course I don’t believe that magic really exists, but in order to do research for what a magic book might look like, I bought tons of books from people who claimed they could do real magic. By the way, if you go buy some books about magic, you will find that they are incoherent. There’s really no pattern to it. It’s very hard to pull structure out of it in a way that . . . you could write a fictional magic book a lot more interesting and realistic-feeling compared to the “real” ones. But when I looked through those real ones, I pulled out certain kinds of images or icons, sigils and things, just because they looked cool. Sometimes people were good artists and would draw interesting shapes and things, so I’d actually pull from “real” sources some symbols that would be used in some of those early books. I did get messages—the one I’m remembering right now is actually from a Jewish rabbi who noted that I sealed the last few pages of the book; they literally had a tag over them that you had to tear open to get to the most powerful spells, and the cover of that sealed section had some writing on it, like some names written in a weird font. This rabbi called us up and said, “Hey, by the way, you really shouldn’t be printing those symbols in a book because those symbols are the word of God, Jehovah, written in” . . . I can’t remember what language it was, but according to Jewish faith, it’s a word you’re not supposed to write down, and so he was at least bringing that to attention. In our case, it was completely accidental. I was just using a funky-looking symbol. I’ve always thought it was so interesting—I believe that you’re not very religious at all, and the Ultima games are very sort of clear-sighted about some of the downsides of religion, and yet spirituality is one of the Eight Virtues. In fact, you’re correct on all fronts. I consider myself actually a very spiritual person, but it is with a unique definition of the word spiritual. What I use, and I tried to describe this in Ultima, what I used for the concept of spirituality is not religious spirituality, has nothing to do with God, has nothing to do with a soul, it really has to do with the introspection about your place and purpose in life. But again, not in a “beyond human understanding” way, but rather in the sense that I do care about the tracks I leave with my life on this Earth. I consider that spirituality. So it is, I know, a unique definition of the word that’s not commonplace, but I do consider myself a very positively spiritual person, but with that very specific definition. Your new project is called Shroud of the Avatar. Could you just tell us how is this related to the Ultima series and how is it different? What’s interesting is I’ve been making role-playing games, obviously, for a long time, forty years, and as we reflect back on the Ultima series, I think there were some really great things that other games, and even games I’ve worked, on have not continued, so part of Shroud of the Avatar is hearkening back to the past, where Ultima Four, Ultima Seven, and Ultima Online are the biggest touchstones. Ultima Seven, I think, is the best Ultima from the detail of the simulation of everything—you touch a sign or a lamp and it swings in the wind; every object in the game can be picked up, taken, interacted with, used, fill a vial with fluids or pour it out on the ground. The detail of the simulation is very good. Ultima Four, from the Virtues and making sure that the game really is not only espousing but judging you on the ethical behavior you perform with in the game. Ultima Online, in a sense of a very deeply simulated multiplayer environment where the roles that people can play are very diverse: from just a combatant collecting treasure, through the crafters who create the tools of the trade of all the adventurers out in the wilderness, and all of the other walks of life that are not only simulated but are deeply interconnected. To be successful you really rely on other players within the game. So that’s sort of the foundation, harkening back to the past. But we’re also trying to fix some problems that role-playing games, we think, have come up with, and take a good strong step into the future. Where I think a lot of role-playing games have become fairly brain-dead operations—and what I mean by that is that you’re dropped into a virtual world and you see an exclamation over the person’s head you really need to talk to. So you know “I’ve got to go talk to him,” but when you talk to that character you don’t really pay attention to what they say; you just kind of click on the menu of things they have to say and avoid clicking on the ones that would make that person angry. At that point, anything you needed would be in your quest log, and your quest log will then put an arrow on the map to drive you through the world to the place you need to go for that quest—where it’s usually “farm the monsters.” A level-one quest for level-one monsters, and as soon as you do that one rapidly enough, you become level two and repeat the whole behavior. So the automation of these games makes you, the player, really not need to pay much attention to the game experience. You’re no longer exploring, you’re no longer actually problem-solving, you’re no longer actually thinking about why or how should I interact in a particular way in this particular situation. So we decided to work very hard to try to bring what we think of as role-playing back to role-playing. I think we’ve done a good job with the new kinds of conversation systems, new kinds of ways to track the knowledge that you have acquired during your adventuring, and hopefully we’re going to take a bold step into a new future for role-playing games. One of the things that you mentioned is that one of the selling points of the Ultima series are these rich stories and background of the world. Could you talk about what sort of a story you are putting together for Shroud of the Avatar? Absolutely. In fact, as I reflect on the stories in Ultimas, I’m very proud of the high concept of many of those stories. My critique of my own work is that, while I think I understand the high concept I’m trying to deal with, the main social issues I want to wrestle with in this story, I’m not and was not raised as a professional storyteller. I would like to argue that I am one of the leading storytellers in interactive games, yet I still, as I look at book authors in general, and a few in specific, I don’t see the prose that I wrote or the structure I put to story to be nearly as high-quality as some of them. So one of the things I did with Shroud of the Avatar is, Day One, we sat down, and I started talking with my dear friend Tracy Hickman, who I’ve admired for thirty-plus years, and we commonly would share stories and have worked together on some small projects, but never on a large project before. So I reached out to Tracy and said, “Hey Tracy, could you/would you be interested and willing to work with us here to craft the story for Shroud of the Avatar?” And he very enthusiastically said yes, and we put that in as one of our Kickstarter goals when we got the project going to have him not only help us internally with the story for Shroud of the Avatar, but also to write a book of the backstory that we’ve been working on together as well, called Blade of the Avatar. We’re doing Shroud of the Avatar as five episodes. This first episode is called “Forsaken Virtues,” and in this first episode, you-the-player return to the lands of Lord British. It’s been some time since you’ve played together in a world with Lord British, and when you return to this world you find that while Lord British still espouses the Virtues, a great deal of time has passed and the world has sort of moved on and thinks of them as quaint but a bit antiquated, and is now back on the practical business of rebuilding the world in which you have now returned. The game now, in this case, it’s still about virtue, but it allows you to explore virtue in sort of what you could call your own way. There’s a new force that we call The Oracle, this new advisor that you’ll find regularly reentering the story. I would describe this character as a lot like Aleister Crowley, if you remember Aleister Crowley. He was a witch, he believed, and he believed that you should become the best you that you could be no matter what that you was, and The Oracle is a force of this kind. The Oracle will sit and analyze your behavior, and ask you about the intentions of your behavior, and comment on whether your intentions and your behavior appear to be in line as far as The Oracle can determine by mechanically observing your behaviors in gameplay. So at the end of this first episode, the “Forsaken Virtues” episode, players will emerge with a variety of outcomes. If you think of most storylines in most games, you either win or you don’t, whatever has been scripted by the creators. This first episode is really where you effectively determine your own destiny by your actions in the game. I’ve read Blade of the Avatar, the sections that have been released so far. One thing that really strikes me is it seems really interesting on a meta level—in the game world you have the fall, and a lot of the old world has been swept away and is now forgotten, and it seems like that parallels the history of the Ultima games and the fall with Electronic Arts, and now coming out of that and rebuilding this new world. Exactly. In fact, of course you’re picking up on a rhythm which is not accidental. We obviously could not reference any intellectual property of the past, and so we had to sweep it away. Interestingly, if you remember Ultima Nine, the end of Ultima Nine actually ends with, effectively, the destruction of Britannia. It wasn’t even accidental. A little bit of scuttlebutt about the final days of my relationship with EA is, when we did Ultima Online, it was the best-selling PC game in Origin and EA history, so obviously that was a big hit. However, EA was not hot on role-playing games in general, especially not medieval style role-playing games. There had been a lot of other failures. There weren’t many fantasy movies coming out. The new Lord of the Rings movies had yet to be envisioned. The most popular movies were The Matrix and things of this nature, and the pressure was on. They were trying to get everybody to quit making men running around in tights because they didn’t think people wanted it anymore, and they really hoped we would go on and make Matrix-type games. At least for me, it was obvious that Ultima Nine was going to be the end. It was the end of the trilogy of trilogies. I’d been working on it at that point for about twenty-five years. It was obvious that I had lost the support and interest of my publisher. So I said, “Okay, this is really the end.” So I set that story up to sort of wipe the slate clean in some way, and I did, and then I walked away. [It was a] combination of they pushed me out of the company, and I walked away from medieval fantasy for a while. But in the ten years that have transpired since, I find it very shocking that, first of all, fantasy of course is not dead. I knew it never was. It was just the company that didn’t feel that medieval fantasy was relevant. It’s continued, obviously, to be enormously popular. But no one has really kind of followed in the Ultima mold. No one has followed in the mold of virtues. No one has really followed in the mold of these deep sandbox games where everything is interactive. No one has really taken the RPG roles that you can play as a character and try to make them so deeply interdependent on each other as we did even with Ultima Online. Over the years, as I kind of gained some distance from Ultima, I began to long, myself, to play or participate in the creation of another Ultima, began to get the pressure from the community to come back and go do that instead of science fiction or whatever else we might do next, and so this was just the right time. To come back full circle about your statement about Blade of the Avatar, Blade of the Avatar is meant to be that bridge. It’s meant to be: Look, we’re not going to reference anything about the past, the past really is gone, but what we’re going to do is, we’re going to start with the old world is gone, and how do we build the new history, the new reality, going forward? The one piece of continuity that we will bring back, that we do own, is Lord British, and so Lord British and the Virtues, which I personally espouse, will continue into the new world. Speaking of Lord British, I heard you say that when you were working on Ultima Seven that they wanted to give Lord British a wife and kid, and you say, “No, you can’t do that because I’m Lord British, and I don’t have a wife and kid.” But now you do have a wife and kid, so does that mean that now Lord British will have a wife and kid? Very interesting speculation, but I can’t tell the answer to that because it involves some of the plot of “Forsaken Virtues.” It is a reasonable suspicion, but exactly the way that will play out you’ll have to find out in game. Interesting. One feature of this game I’m really looking forward to is that you’re bringing back the text parser. I grew up playing Ultima games and Sierra adventure games where you actually have to type in words, and I’m looking forward to that making a comeback. Yeah, me too. In fact, it’s interesting, I don’t know if you had a chance to have a good conversation with some of the characters in the game yet, but Scott Jennings, who is our main programmer on this facet of the game, significantly exceeded my hopes and expectations in a way that makes me very happy. I would have been frankly content with something very much like the old school Ultima: Just parse out a keyword one at a time and respond to one thing at a time. What he made instead is that, look, if we’re going to put in a parser at all we might as well put in something that’s a little bit more state of the art, and while it’s still looking for keywords in what you say, it can pull out whole sets of keywords that are presented even in complex sentences. So if you walk up to an empty seat and say, “Hello, I’m Richard Garriott. Your establishment here looks like a pub. If that’s true, what kind of beer do you have for sale? I’d like to buy one.” And it will go and it says, “Oh, hello Richard Garriott.” Since I said my real name, he will now permanently remember my real name. He’ll say, “Why, yes, this is a pub. This is Fire Lotus’ Tavern, and yes, we sell beer. We have twenty-four different types on tap. What would you like?” It actually goes through and responds to each of the keywords that it can pull out of separate sentences along the way in one fell swoop. In addition, if you say something and the character doesn’t see anything in there it can parse, it records it, and so that sends a mail. Every day Scott and his team get a sweep of what things people have said to the NPCs that the NPCs didn’t understand, and if they look at those and it looks like something that, “Oh, it’s actually reasonable that that character probably should know about that,” then they add it. So our characters are getting smarter and smarter and smarter as time goes on within the game. Back in episode ninety-one of this show we interviewed Felicia Day, who mentioned she’s a huge Ultima fan, and she actually has some of her fan poetry online. I was wondering if you had seen any of that stuff. Yes, I have. Some of her fan poetry is probably the first way I became a big fan of hers. It’s the first time she really strongly came on my radar. Of course it would make sense that people would forward it to me and bring it to my attention, but in reverse, the more I have seen and heard about Felicia, and watched her YouTube channels and things of this nature, frankly the more of a Felicia Day fan I have become. I find Felicia’s success to be a harbinger of the future of television-style media. Here’s my case: When I go to places like DragonCon, I’ve been going to conventions forever, and it’s interesting to see who shows up as a fan to different kinds of presentations at these conventions. For example, an artist: There’s lots of artists who show up at conventions to show off their art, and maybe sell a little bit of it, and they get a line of people around their little booth. You then get up to some book authors, and some book authors might have a few more people who show up at their talks or their booths and queue up to meet them or get a picture, or an autograph, or whatever it might be. Then you have computer game developers like myself who might command a similar or a little more people based on the popularity of their titles. Then you move up to a whole other class, which you get to for, like, television and movie stars. TV and movie stars command a much bigger audience in the big rooms for the fans that show up for the television and movie stars. And now there’s even bigger. Now there’s people like Felicia Day. For example, at this last DragonCon that I was at and she was at, for her talk, they had to book the big ballroom in an entire other hotel that had a bigger ballroom than any of the main DragonCon hotel rooms so they could fit the tens of thousands of people in who wanted to see her and her team get up and talk about their latest machinations on life. To me, I look at that and go, “That is so much more powerful.” The podium that she now has reaches the younger, fast-growing demographic of an audience. If people in normal broadcast television aren’t paying attention to this, they’re going to, yet again, lose out. Another good case study is the Rooster Teeth folks back in Austin, Texas, who, for their Red vs. Blue and other shows they do, they often even have a bigger audience than Felicia. And in Austin they just bought the entire television studio of what used to be a big studio of (I can’t remember if it was NBC or CBS or ABC or who it was) but a big production studio in Austin, Texas that went out of business for traditional media and was bought up by Rooster Teeth, which is now expanding into it. So I think things like you’re doing, these podcasts, and with the on-demand, whether it’s radio, or video, whether it’s television or movies, is inconsequential to me. This on-demand nature, I’m seeing the consumer base shift to it. I’m seeing marketing dollars shift to it. And I think traditional media needs to pay attention or they’ll miss it. I also wanted to ask you about The Space Bards “Return of Lord British” music video, which I absolutely love. I must have watched that thing a hundred times. How did that come about and what was your reaction to it? We were doing this during the Kickstarter. One of the things we realized during the Kickstarter—if we did a Kickstarter again we’d do it considerably better, I think. I’m not complaining about how we did, but it was an interesting learning experience—One of the things we learned as we were going through it is that we really need to be interactive with the community more and more, and one of the ways that we did that is we began to run contests. We were close to the end, we were within a week of the end of the Kickstarter, and we decided to run on one weekend a three-day, so seventy-two-hour, contest that said, “Hey, whoever can produce the best video that we can use as advertising for Shroud of the Avatar, we’ll give you something. Some cool upgrades or whatever it might be.” Then we began to watch over the next seventy-two hours as people began to turn things in. Of course, the first twenty-four hours, the things that we got in were fun and they were interesting, and it was cool that people took time out of their lives to do it, but they wouldn’t be things that we could release and actually sell people on who we were and what we were doing here. But by the time we got to the end of Day Two, we began to get things that were really good. In fact, there’s a woman who was our leading contender up until The Space Bards—a woman named Ember Isolte. Ember’s is kind of a medieval, traditional-styled piece, great music, great lyrics, very well sung: We thought it was going to be the winner. Hers was so much better than the other folks through the entirety of Day Two that she was the assumptive winner. Then, within four hours or so of the close of Day Three, The Space Bards gave us their “Return of Lord British” and we were stunned. It was so good. We actually started feeling bad because we liked Ember’s piece so much. It’s great and Ember’s a great member of our community. We love her to death. We think her work is phenomenal. But for this particular contest, for this particular need, for what we were trying to do to market the game and just to have fun with it and around it, Space Bards nailed it. So we have been not only so thankful to The Space Bards, we’ve become big Space Bards fans. We all contributed to their Kickstarter to do music themselves. They’ve gone on to do music at a Blizzard Con and other things too. They’re making a good run of it as a band independently and still are producing music for us in-game that is just phenomenal. I saw in a video that you recently bought a brownstone in New York City. I live in New York, so I was just curious: What brings you to the city? Marriage brings me to the city. I met my wife when she was on vacation and technically I was working, just after my spaceflight. I happened to be on the island of St. Barts, where my company had sent me to give a speech, and she happened to be on the same island, but did not come to the speech there over Christmas break. But over about a twenty-four-hour period, we ran into each other. One night just after dinner was our first kind of brief encounter, then we happened to go to the same restaurant for breakfast, then we were in the same general place for lunch, then the next afternoon we were on the same small plane off the island. So four times in a row in twenty-four to forty-eight hours, and that kind of kicked off at least a conversation—which, even though I went back to Texas and she went back here to New York, the interest was high enough we kept communications up and eventually led to a couple of years ago us getting married. I saw that you keep in touch with the office in Austin with a telepresence robot. That’s exactly right. In fact, we have two there now, and I have third now on order just because that’s essential. I split my time about fifty/fifty between Austin and New York, but when I’m here in New York, when I get up in the morning I sit down at this desk that I’m talking to you from right now, I power on my telepresent robot in Austin, and I wander the halls and go to the meetings and participate just as if I was there. Unless I’m on a call like this, I’m full-time in my office and wandering the halls as normal, just through a telepresent robot. Also, was it your mom that came to your wedding via a telepresence robot? Yeah, in fact, that’s what we bought the robot for originally. When my wife and I decided to get married, she’s French and she wanted to get married in France where she has an enormously large extended family. My extended family is only half a dozen people, so it’s a lot easier for us to travel, except for my mother, who is over eighty years old and was not really feeling too excited about international travel, and I said, “Well, I know of new technologies coming online to fix that.” In fact, when we decided to get married, I put in an order for this robot that I knew wouldn’t be delivered until a month or so before the wedding, and so we have one of the very first ever telepresent machines ever made, that was used at our wedding. We got married at this old castle, and this old castle had no internet, and so we actually got a hold of the company Orange, which is one of the biggest phone companies in Europe, and we expressed to them what we were trying to do, and they said, “Look, if you’ll let us market that we helped you guys pull this off, we will provide you internet for this day.” Which they did. So they actually ran internet to the castle and put wireless out in the hundred acres of gardens out behind it so that my mother could roam freely both through the wedding itself and then the after party. Some of our favorite pictures are of people dancing with her on the dance floor during and after the wedding. I guess, for people who don’t know, what does this robot actually look like? It’s sort of a Segway, right? We have three different models now, but they generally have the same form factor, which is a small base underneath that’s about the size of a toolbox, that is a self-balancing mechanism with two wheels, and a telescoping pole that goes up the center, and then on top is the communications head, so you have a display monitor so that other people can see you, and microphones where you can pick up what’s happening in the other room. When it’s on my screen here, you just use your arrow keys and mouse to drive it around, so other than the fact you can’t open doors for yourself, it’s a mighty good way to virtually be there. It doesn’t have any sort of arm, does it? To press elevator buttons or anything like that? It does not. In fact, I keep looking to see when somebody is going to make one, and no one even has that in the queue that I can see yet. The other problem with elevators is that they tend to cut off wireless connections because they’re metal boxes. We’ve actually tried to hook 4G modems onto these devices and drive them around, and you can drive around outdoors with a 4G modem, but elevators are still a hard journey to go into just because of the complexity of pressing the button and disconnecting. Why don’t you tell us what’s ahead for Shroud of the Avatar? Where do you hope the project goes in the next couple of years? Our sector is set on the end of this year, which is getting the “Forsaken Virtues” release out—that first whole story and the first whole continent. But, as is the case with massive-multiplayer-style games, we hope and trust that it will live on for many years. With the modest few million dollars that we’re building Episode One out of, that’s to kind of get the sandbox built and the first stories told, but as the game expands, we’re going to do things, like, you’ll see ships in Episode One, but they’re all tied onto the docks. You don’t get to sail them around much. You’ll see whether it’s flying vehicles or the implication of future flying vehicles. You’ll see whole new groups of character classes to be played. The stories of this first one involve a fairly limited palette of kinds of creatures and circumstances. All of those things will be expanded in Episodes Two, Three, Four, and Five. If we get through Episode Five, if we’re fortunate enough to live through the full arc of five episodes, then I think we will be about as happy as you can be, and then we’ll decide what’s next. How many people does it take to sail a ship? I was curious about that. Right now you can’t because they’re all tied to the docks. But that will come in Episode Two. Honestly, we haven’t even begun to design the strategy yet for how easy or difficult it will be to navigate your vessel across the seas. Cool. So if people are interested in Shroud of the Avatar, what websites or things should they be checking out? Www.shroudoftheavatar.com is where you can come, and I’d be very excited to have more people join us on this adventure to kind of both hearken back to an earlier day of series games like Ultima, as well as take a bold step into the future of trying to create a new type of massively multiplayer game with a new type of way to interact with characters and quests that we hope will be well-liked and carry us into the future. Great! Unfortunately we’re pretty much out of time here, so I guess we should probably start wrapping this up. Richard, I just really want to thank you, it’s sort of a lifelong dream for me to get to talk to you. Thank you, David. My pleasure, absolutely. Thanks for all the Ultima games and I’m really looking forward to Shroud of the Avatar. Best of luck with it.